The NHL’s second season is set to begin tonight in Tampa, Pittsburgh, and St. Louis with the five other series dropping the puck in the coming days. Undoubtedly, the opening night of the playoffs are an exciting time to be a fan of professional hockey: the energy, the intensity, and the speed of the game are all elevated. It takes 16 wins and 2 months of hockey to life the Stanley Cup. It all gets underway tonight. Oshie, the 5’11 190 lb product of the University of North Dakota, will be making his 6th career appearance in the playoffs, his first as a Capital. In 30 career postseason games, Oshie has amassed 5-4-9. Getting a feature scoring role heading into the playoffs playing right wing on Alexander Ovechkin and Nicklas Backstrom’s line will mean Oshie is poised for a big playoff. The Capitals are the odds on favourite to win the Stanley Cup. Oshie could ride shotgun the whole way if he can stay healthy. King, a two-time Stanley Cup Champion, will be making his 5th career appearance in the postseason, all of which have come as a member of the Kings. In 64 career NHL playoff games, King has amassed 10-14-24. King will be in his customary spot in the Kings’ bottom-six this year on a veteran third line with previous Stanley Cup Winners Vincent Lecavalier and Kris Versteeg. After a year away from the postseason, Los Angeles is back and have drawn the San Jose Sharks in the first round. King’s line will be tasked with providing some responsible minutes and chipping-in a little offence if the Kings are to make a deep run for the 3rd time in 5 years. 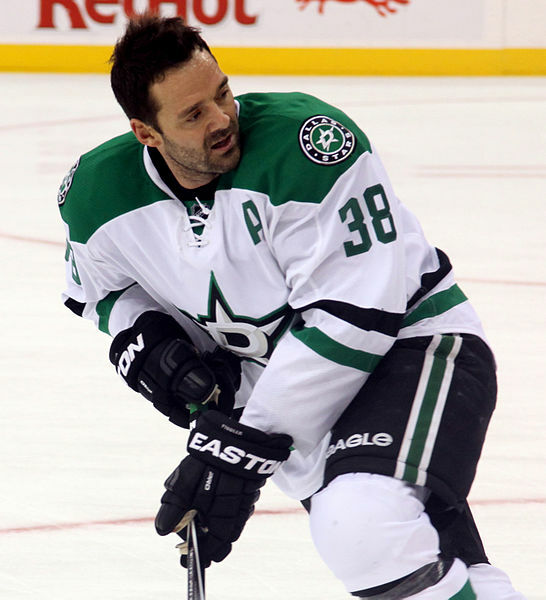 Fiddler, a veteran of sixteen pro-hockey seasons, will be making his 7th appearance in the Stanley Cup play downs, and his 2nd as a member of the Stars. In 29 career NHL playoff games, Fiddler has amassed 3-5-8. Fiddler has held down a spot on the high-powered Stars 4th line contributing another consistent season of over 30 points for the seventh consecutive season. The Stars are in-tough in the Central division and have drawn a difficult first round opponent in Wild Card winners, the Nashville Predators–Fiddler’s old team. Fiddler will start with Travis Moen and Colton Sceviour on his wings. They will be tasked with trying to saw-off the Blackhawks fourth line at even strength. Nolan will miss the entire 2016 postseason after undergoing back surgery for a herniated disk in March. Nativehockey.com will be following these Indigenous players on their quest for the cup.